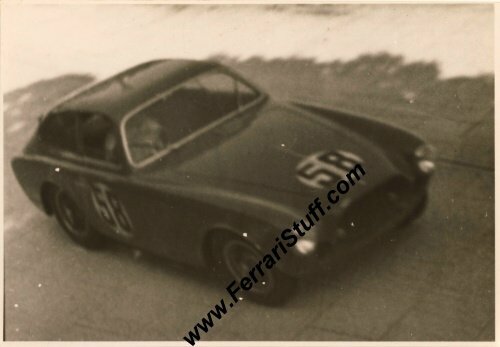 Vintage 1952 photograph of Ferrari 225 Sport Vignale Berlinetta S/N 0164ED at the Prix de Monaco. This is a vintage June 1952 photo of Andre Simon and Jean Lucas en route to a 4th place overall in the 1952 Prix de Monaco for Sports Cars. The car is question is the Mr. Kleber owned 225 Sport Vignale Berlinetta with S/N 0164 ED, a car that survives to this day and seems to reside in a New York collection since the 1980's. The photo is a bit hazy and measures some 12.5 x 8.5 cm or 5 x 3.5 inches and carries NO references to the possible photographer. It is in good condition for its age but, as mentioned, a bit hazy.